Image: FlamingoImages/iStock/Getty Images Plus/Getty Images. Setting goals isn’t only for adults. A child who learns goal-setting at an early age can depend on an adulthood filled with responsibility and pride. And the beginning of a new year is the perfect time to introduce new activities to your kids, to create a childhood they will remember for a lifetime. 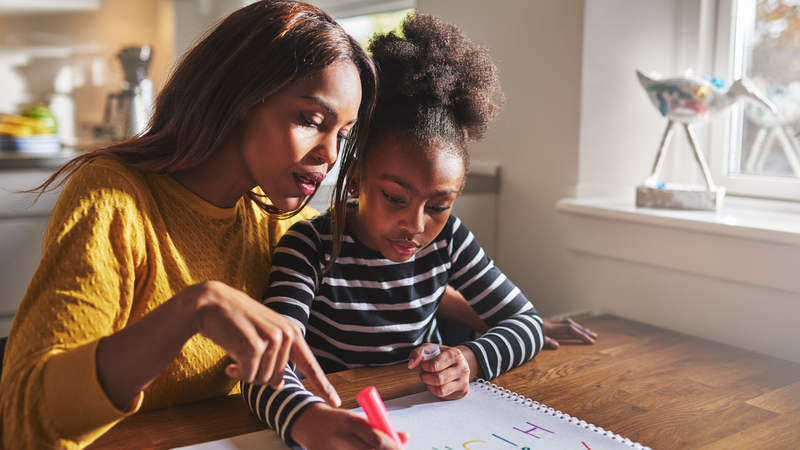 Here are a few helpful steps for setting goals with your kids — starting with identifying ones they will actually enjoy achieving. The worst thing you can do is impose a personal agenda on your children. Allow your son or daughter to think about the lessons taught in school, on their sports teams or in conversations with their friends. It can be a stepping stone to starting a list of goals on their terms. For example, if your daughter tends to pick Barbie dolls that have a professional theme (i.e., doctor, celebrity), ask what inspires her to choose these kind of toys. Ask open-ended questions to formulate ideas before starting the actual list. In addition to aiming for a year, use these goals to mold your children to be better versions of themselves. Some children are visual. Be open to starting with paintings or drawings that inspire ideas. It can be a painting your son created at school based on his life vision. Or make it a fun activity by asking your children to start drawing an after-school activity or the perfect grade in math class. This activity fosters a lack of limitation, allowing a child to express their deep desire to become the person they dream to be. Most children will not carry an NY resolution list in their backpack or as a reminder on a cell phone. Make it fun and creative. Have them paint a list and put it on the refrigerator or their bedroom wall. Print it on a blank T-shirt at the printshop. Reward your son or daughter once the goal is achieved. It will improve his or her self-esteem and be the beginning of setting more goals throughout the year. The old-school parenting mindset that children will grow based on their environment is a passive way to raise children. Now is the best time to teach a child to embrace success and failure. Some parents tend to reprimand a child if they come home with a C on an English test. Taking away their games or being stuck at home all summer because of bad behavior at school is common. However, a real conversation about what caused a bad decision, such as not studying or being disrespectful to a teacher, needs to be addressed. Kids need to know what will happen if they don’t meet their goals, because in life, sometimes they won’t. They need to know to be OK with that and work to improve in the future rather than assuming they will succeed every time. A child’s imagination is unlimited; it is something most adults wish they could have. Allow room for a child to change a minor part of the resolution. If your child chooses to change the entire list, open the conversation to determine the reason. Avoid making a child feel bad about changing the list because it is better than accepting the idea of giving up on goal-setting altogether. A goals list is an effective way to instill the mindset of success. A child can hold onto this practice and become a successful older person and professional. Make goals an activity that can create an improvement to self-esteem and confidence when a child achieves goals. Open the discussion to their desires and fantasies. Most important, let the child take the lead from the beginning to the end.